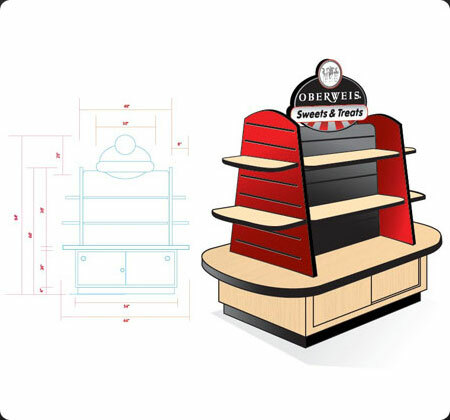 Having recently assisted Midwest dairy and creamery, Oberweis Dairy, in its rollout of fine 1927® chocolates, Joliet Pattern seized the opportunity to develop upon its expanding 'Sweets & Treats' line by conceptualizing various retail kiosks. 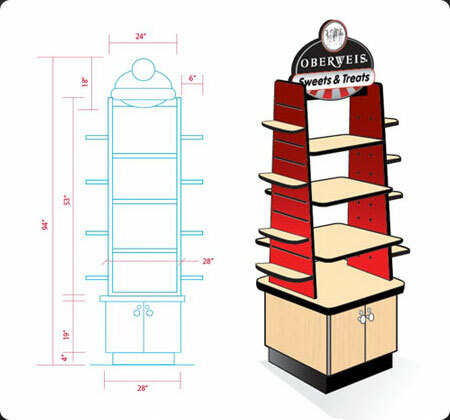 Joliet Pattern's Art and engineering department went through various stages, working directly with the Oberweis corporate team in finalizing the illustrations and subsequently producing prototypes for local test markets. 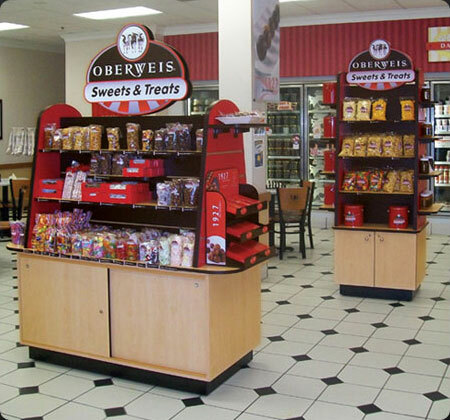 After the initial merchandised prototypes met with a positive response at their test stores, Oberweis has since placed an order for its midwest locations and plans on utilizing Joliet Pattern in the transportation and deployment of the new store units.